Dear Visitor! 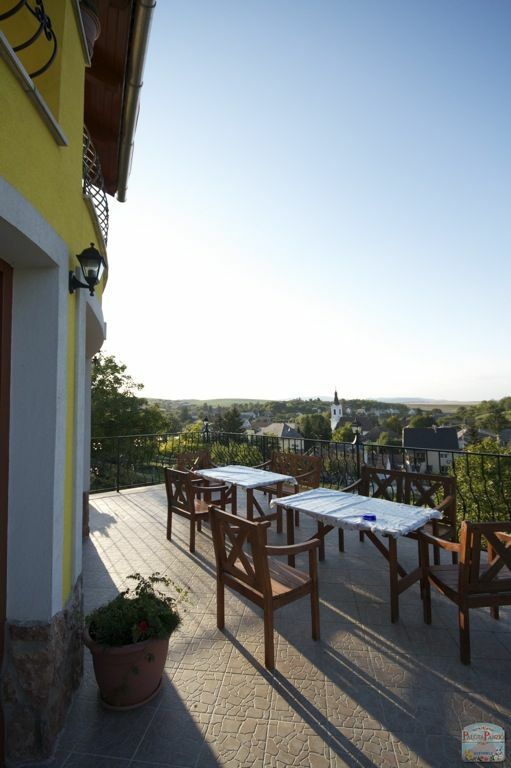 Welcome to the site of Palota Guesthouse! 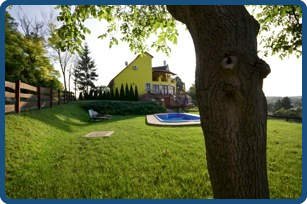 Our guesthouse is situated in Gyermely, 40 km away from Budapest, a thirty-minute drive from Esztergom, in a quiet and peaceful countryside environment. 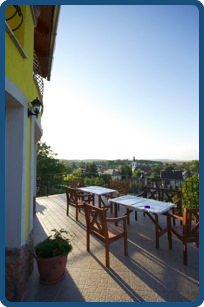 The guesthouse offers a wonderful view over Gyermely and the hills of the neighbourhood which can be enjoyed not only from the rooms but from the balconies on both floors as well as from the garden. We completely renewed our guesthouse a few years ago. As a consequence it has formed quarters with an atmosphere of intimacy, fitting both today’s modern and the traditional style. It was in 2009 that in the garden we built the illuminated swimming-pool which will be able to be heated in the near future. 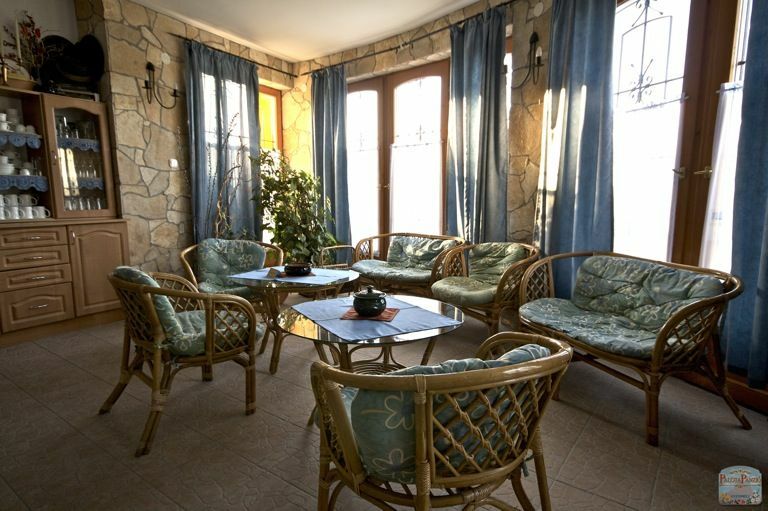 In the immediate environment of the guesthouse there are countless possibilities for hiking and relaxation, not to mention the angling, hunting, shooting and cultural facilities. We hope to be able to welcome you and your family as our guests. 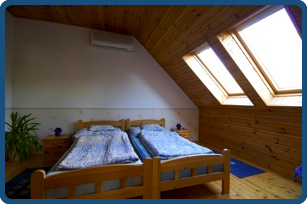 Our guesthouse is ready to accommodate guests in six double rooms with extra bed. Our total capacity is 18 persons. We are ready to arrange friends’ events, business and other programs up to 18 persons. 5.500 HUF / night / person with buffet breakfast. Travel tax is to be payed extra. 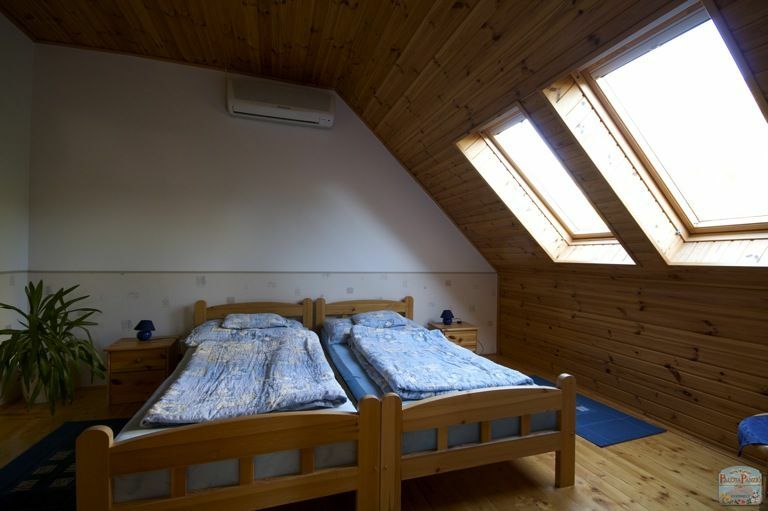 Only one night 7.500 Ft, or 23 EUR / person with buffet breakfast. Travel tax is to be payed extra. Meals in addition to breakfast are according to order and discussion. For children: up to 3 years old free of charge, between the age of 3 and 10 the discount is 50 % of the accommodation charge. For groups: discounts can be given according to agreement. Please contact us on details. Reservation can be made in advance on any of our availabilities. 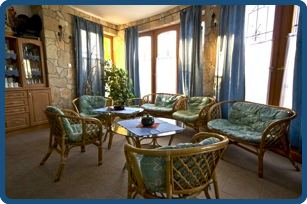 We wait for our guests all the year round, 0-24 h.